Colorado Springs City Council in recent years has convinced voters to tax themselves an additional $590 million. The first was in 2015 when Colorado Springs citizens, exasperated from the failure of the City to take care of its roads, voted to raise the City's general fund sales tax rate by 31% or .62 cents per dollar. Over five years that was anticipated to raise $250 million for road work. How that money is being spent is another topic. Mayor Suthers and members of City Council are already talking about extending the tax increase. In 2016, with an EPA lawsuit in progress on the City's failure to hold its developers accountable to existing standards for stormwater infrastructure, officials convinced voters to raise their taxes again through their utility bill, and using the politician's favorite euphemism for new taxes: it's a fee. Each residential utility customer has started to pay $60 per year added to their water bills for the next 20 years. All tolled, the stormwater tax disguised as a fee will reach into citizen wallets to collect an additional $340 million. The ballot measure also allowed for an open-ended increase in the stormwater taxes should the City be charged more damages from the lawsuit. The justification for both of these historic increase in taxes remains constant: there just isn't enough money collected in City sales and property tax to fulfill these vital roles of City government. Next week, Colorado Springs City Council will consider two "revenue sharing agreements" with the Colorado Springs Urban Renewal Authority. Under the agreements, in two "crony capitalism districts" in downtown Colorado Springs, City taxes will be collected from property owners, businesses and citizens as they are in every area in the City. However, in these newly designated "Urban Renewal Areas" all new taxes for the next 25 years will be transferred to the Urban Renewal Authority. The Urban Renewal Authority's unelected and unaccountable-to-the-public board will transfer those dollars to private developers to complete the private developments. 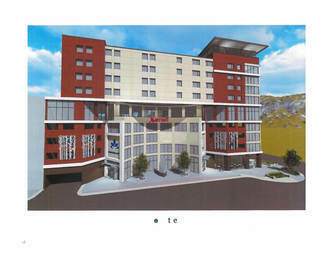 One area will include the new Downtown Marriott at Costilla and Tejon. 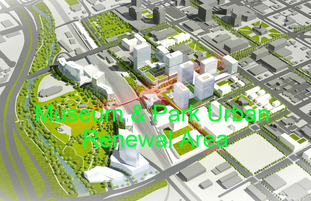 The other, will support a massive private development adjacent to the "City for Champions" museum. If the agreements pass as they are expected to, the $51.9 million in City taxes collected in the areas will be transferred to the URA to help pay for these developments. Without the specially designated crony capitalism zone, these City tax dollars would remain in the City's general fund where they could be paying for roads, stormwater, the CSPD, the CSFD or City parks. Instead, the dollars will assist private developers with private developments that unelected City leaders think are more important than roads, stormwater, the CSPD, the CSFD and City parks. Keep in mind that the Mayor and a majority of City Council have said with straight faces that there just isn’t enough money to fund maintaining and repairing our streets and our stormwater infrastructure. They further justified the stormwater tax by championing a shell-game with the tax that would also benefit the CSPD. Below is some brief information about each area. Jim DiBiase - Olive Real Estate Group Inc.
*Campaign finance information for council members receiving campaign donations from executives at Nor’wood and the Colorado Springs Housing and Building Association whose board is well-represented by Nor'wood executives can be found at the City Clerk's website.